Daminion is an affordable, easy-to-use digital photo and media management solution for your precious multimedia content. Easy asset cataloging means goodbye to last-minute scrambling. 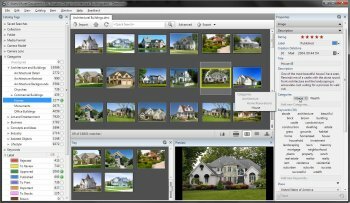 Daminion also supports storage of data inside files, including copyright information, synchronization of database information with EXIF, IPTC, XMP, and MWG, as well as format-specific metadata in a wide variety of formats. The metadata mark your copyrighted material; this helps to protect your intellectual property rights. Crippleware, as the free version limited to 15.000 files.